Posted by rogerhollander in Art, Literature and Culture, Chile, Criminal Justice, Latin America. September 18th is Chile’s Independence Day, but for many the month of September is more about the heavy memories of the Chilean coup that happened 41 years ago on September 11th, 1973 and its continued legacy. 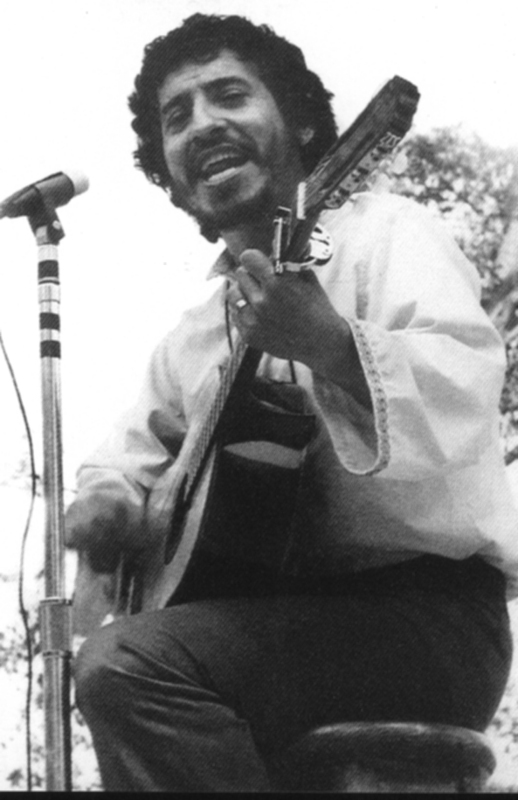 As you may know, one of the most prominent victims of the military regime is the folk singer and activist Víctor Jara. Last week, three more soldiers accused of his murder were arrested in Chile and more details about his assassination and murderers have beenrevealed (this article is in Spanish!). Pedro Barrientos, the SOA grad who was last known to reside in Florida and has been accused of pulling the trigger, was not on the list of new arrestees, because so far the U.S. government has not acted on the extradition request issued by the Chilean Supreme Court in 2013. When our allies in Chile are making strides toward justice and accountability, we must not remain on the sidelines. Take action and demand Barrientos’s extradition to stand trial in Chile HERE! 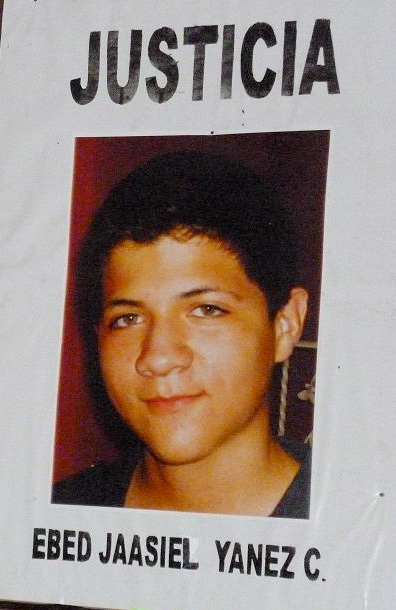 As you know, our Justice for Víctor Campaign has been central to our work over the last year. In 2013, an SOA Watch delegation held asomber vigil at the gates of a U.S.-funded urban warfare training center and outside the U.S. Embassy in Santiago, Chile on 9/11. In April, we held a Víctor Jara Memorial Forum as part of our 2014 Spring Days of Action to share the undying spirit of Jara’s music. 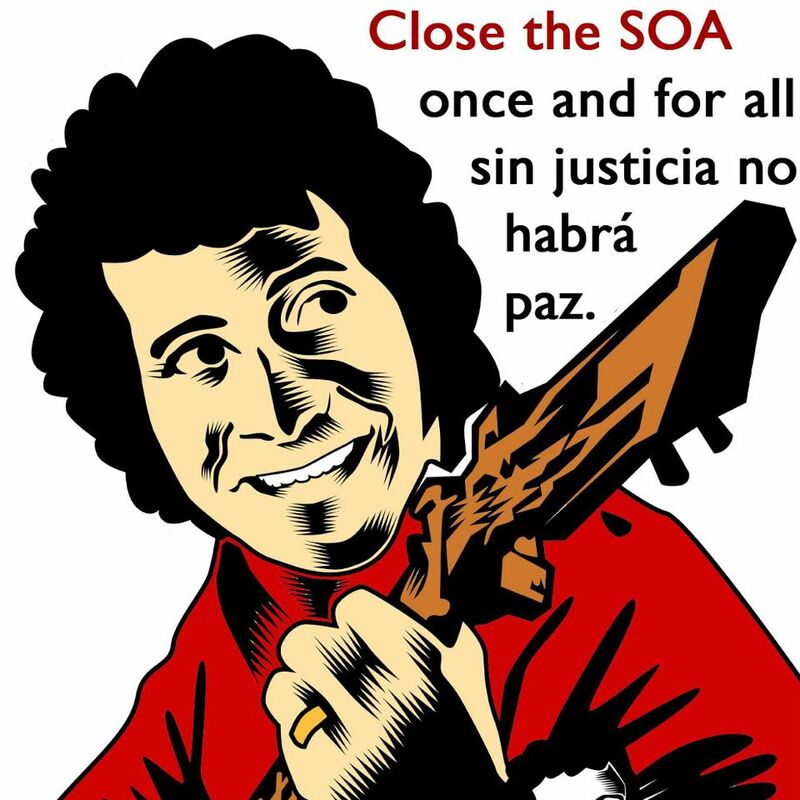 Thanks to you and thousands of SOA Watch activists around the globe, we’ve kept the pressure on the US Department of Justice to do the right thing by extraditing Barrientos to face justice in Chile. 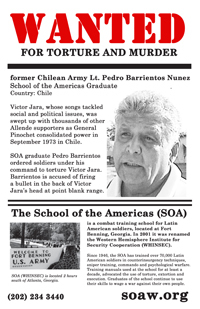 Now, as we oppose yet more war and intervention by the U.S. throughout the world, we must hold the killers of yesteryear to account by demanding justice for Víctor and all the other victims of the Chilean coup! Only when the current power elite see their henchmen publicly disgraced will they think twice about repeating the sins of the past. Posted by rogerhollander in Art, Literature and Culture, Chile, Foreign Policy, Latin America. Roger’s note: The other 9/11. 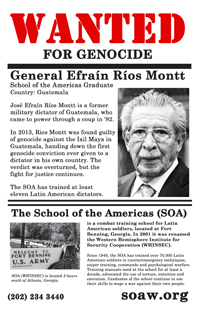 Another case of U.S. imperial, militaristic, CIA lead murderous intervention in Latin America, a tradition that goes back to the Monroe Doctrine and continues today most blatantly in Venezuela, Colombia and Honduras (with the wilful support of Obama and the enthusiastic support of Hillary Clinton). Today is the 41st anniversary of Chile’s 9/11, when Pinochet and his CIA-backed military junta overthrew Salvador Allende, Latin America’s first democratically elected Socialist leader, and began a 17-year reign of terror. Marking “a milestone” in the tragic story of their most famous and beloved victim, Chilean officials last week announced the arrest of three more former army officers in the murder of poet and songwriter Victor Jara, who was arrested soon after the coup with over 5,000 others and held, beaten and tortured for days; had his hands broken; and valiantly tried to sing the iconic Allende hymn “Venceremos” before being cut down by 44 Fascist bullets on September 16. Thanks in part to his indefatigable widow Joan’s decades-long fight for justice for Jara, the three officers join eight others charged in 2012. 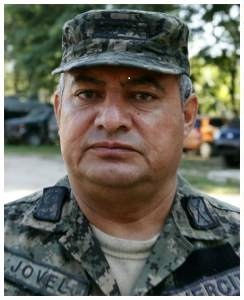 Another 700 military officials still await trial; the Jara family have also filed a civil lawsuit against another former officer now living in the U.S. Unsurprisingly, given newly revealed documents showing that President Reagan considered making Pinochet “a guest of our government” with an offer of political asylum, there’s been no move toward extradiction. 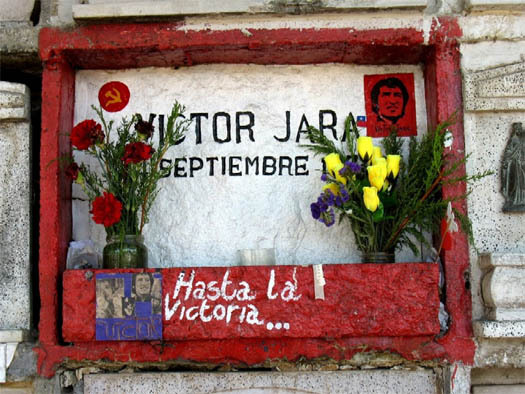 In Chile, meanwhile, Jara remains a much-mourned hero and powerful symbol of freedom. Thousands attended a moving 2009 funeral for him when he was publicly re-buried, and the stadium where he died, now a sports venue and Chile’s largest homeless shelter, bears his name. A plaque there marks his death and that of so many others with a few wrenching, hopeful lines from the last thing he wrote. More in tribute here and here. Posted by rogerhollander in Chile, Economic Crisis, Education, Latin America. Roger’s note: This is civil disobedience, this is direct action, this is artful behavior. How it will end in the long run is hard to say; but it is heartening to see a citizen taking the law into his own artful hands when those in authority stand by and watch the blatant exploitation of students. I am reminded of the break-ins of draft centers during the Vietnam War where records were destroyed. An activist in Chile has burnt documents representing $500 million (£300 million) worth of student debt during a protest at Universidad del Mar. 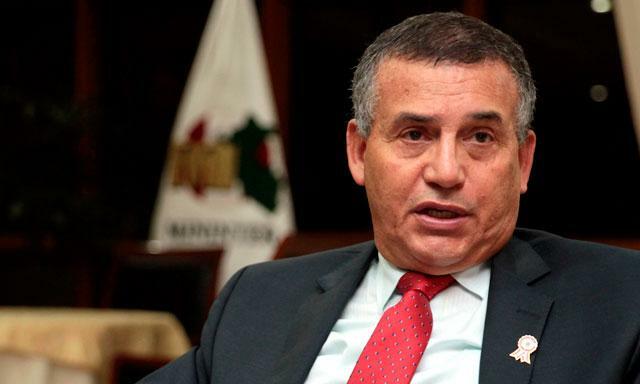 Francisco Tapia, who is also known as “Papas Fritas”, claimed that he had “freed” the students by setting fire to the debt papers or “pagarés”. Mr Tapia has justified his actions in a video he posted on YouTube on Monday 12 May, which has since gone viral and garnered over 55,000 views. He confessed he destroyed the papers without the knowledge of the students during a takeover at the university demanding free higher education. According to the video’s description, Mr Tapia was at the protests when he hatched the plan to wipe the student debt by stealing the papers. It goes on to say that he wanted to create a work of art to reflect the problem of student debt plaguing the nation. While his act of defiance will have brought smile to those now debt-free students, it will be difficult for the university to recoup the losses and the higher institution may have to individually sue students to get the get the debt repaid. There have been protests in Chile since 2011 calling for reform of the university system and for free high-quality education. It was hoped the newly-elected president, Michelle Bachelet, would be bring reform, after a campaign promising drastic change to the education system. 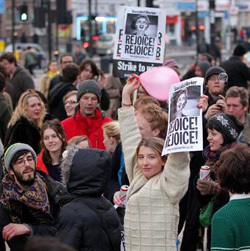 However, two months on, tens of thousands of students have taken again to the street calling again for changes promised. Last week there were clashes on the street of the Chilean capital, Santiago, as demonstrations turned violent. Posted by rogerhollander in 9/11, Art, Literature and Culture, Canada, Chile, Criminal Justice, Democracy, Foreign Policy, Imperialism, Latin America. Roger’s note: There are three items in this post. Following Derrik O’Keefe’s article you will find the full transcript of the DemocracyNow! program featuring the widow of the Chilean folk singer and activist who was murdered by the Pinochet dictatorship. After that I have posted David Heap’s article that tells the story of the Canadian response to the Pinochet coup and the Canadian movement to receive refugees from the Pinochet’s Chile. And, of course, all this to remind us of Chile’s notorious 9/11. Imagine how this nonsense sounds to Chileans, who are today marking the 40th anniversary of the U.S.-backed coup in Chile against the democratically elected government led by Salvador Allende. More than 3,000 were killed in Chile; tens of thousands were jailed, tortured and exiled. Chile bore the heavy burden of all those who have shown leadership in fighting for a better world. For over seven decades — was Obama’s metaphorical anchor of global security the atomic bombs dropped on Hiroshima and Nagasaki in 1945? — any people combining too much democracy and some measure of national development or socialism that threatens U.S. interests has been met with blood and suffering imposed by that enforcer of global capitalism, the U.S. Empire. I’ve learned a lot about Chile’s tragedy through my wife and her family. She was born in a refugee camp in Buenos Aires, and came to Canada as a baby after activists in this country agitated and successfully pressured the Liberal government of the day to admit Chileans fleeing the coup (for more on this history, read David Heap’s piece.) Both of her parents were social activists and part of the resistance. So I have some knowledge of the almost unimaginable human toll of the coup. However, on this anniversary, I don’t want to just repeat a denunciation of the U.S. and the neoliberal economists and their generals who plunged Chile into darkness. I’d rather think about the light that has emerged over the past decades from Latin America, against all odds. Henry Kissinger et al carried out the coup in Chile because they couldn’t countenance the union of socialism and democracy. An elected Marxist president just could not be tolerated. Allende was a strict constitutionalist and democrat. The coup was a bloody reminder that the ruling classes will never fight fair. They killed thousands in a vengeful attempt to forever separate socialism and democracy. But you cannot kill an idea. Forty years later, they have failed. Socialism and democracy have been reunited. That’s why we can say today: Allende vive. Allende lives. Allende lives in the governments of countries like Bolivia and Venezuela; Allende lives in the vibrant social movements all across Latin America; Allende lives in ALBA, a regional integration and mutual benefit alliance the likes of which could barely have been fathomed in the 1970s; Allende lives in the steadfast refusal of Latin America to accept U.S. isolation and demonization of Cuba. In fact, it’s the U.S. and Canada who are isolated in Latin America these days, notwithstanding recent coup d’etats in a couple of ALBA’s weaker links, Paraguay and Honduras. And Allende lives in the massive student movement in Chile, which has challenged Pinochet’s legacy of privatization and nudged the whole political spectrum in that country to the left. Latin America today is the only part of the world where the political left has made concrete gains and broken the stranglehold of neoliberalism. It’s the only part of the world where the left can consistently run in elections as the left — and win. Today’s resurgent left in Latin America poses a real challenge to timid mainstream social democracy in North America and Europe, not to mention to the small constellation of sects clinging to the certainties of 1917 and other similarly dogmatic or scholastic leftists. On this 40th anniversary of the coup in Chile, progressives would do well to recommit to learning about and defending the myriad left movements and elected governments of Latin America. So don’t remember Allende just as a martyr. His descendents have learned from his terrible fate, as Greg Grandin outlined in his London Review of Books article, ‘Don’t do what Allende did.’ The headline refers to reported instructions from Fidel Castro to Hugo Chavez during the hours after the (thankfully failed) coup against Venezuela’s elected leader in 2002. It’s an enormous and worthy undertaking. We should learn from Latin America and we should join them. That’s the best way to honour the legacy of the Chileans who fell forty years ago to the enforcers of global capitalism. rabble.ca Editor Derrick O’Keefe is a writer and social justice activist in Vancouver, BC. He is the author of the new Verso book, Michael Ignatieff: The Lesser Evil? and the co-writer of Afghan MP Malalai Joya’s political memoir, A Woman Among Warlords: The Extraordinary Story of an Afghan Who Dared to Raise Her Voice. Derrick also served as rabble.ca’s editor from 2007 to 2009. You can follow him at http://twitter.com/derrickokeefe. AMY GOODMAN: “Vivir en Paz,” by Víctor Jara, the Chilean singer, songwriter, tortured and executed during the Chilean coup of Salvador Allende, September 11, 1973. 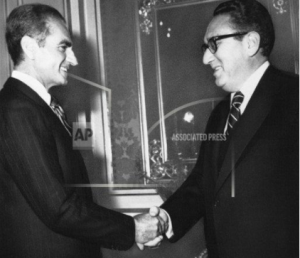 This week marks the 40th anniversary the U.S.-backed coup. You can also go to our website at democracynow.org to see highlights from our coverage over the years. This is Democracy Now!, democracynow.org, The War and Peace Report. I’m Amy Goodman. Aerial bombings, tanks in the streets, widespread terrorizing of civilians by soldiers and secret police: this was the horror unleashed on September 11, 1973 by the military coup d’état in Chile. Led by Augusto Pinochet and other generals with U.S. backing, the coup overthrew President Salvador Allende’s democratically elected Popular Unity government, and brought in a brutal military dictatorship that lasted for 17 years. Canada’s official attitude towards the coup might be politely called ‘ambivalent.’ Some Canadian banks and mining interests openly supported the military take-over as a good investment opportunity. Our ambassador to Chile’s rather sympathetic attitude toward the generals led to a rapid recognition of the military junta. When embassy officials Mark Dolgin and David Adam allowed a handful of asylum-seekers to take refuge at our Santiago embassy, Foreign Affairs tried to shut the door on any more. The ambassador’s classified cables, which called asylum-seekers ‘riff-raff’ and the military killings ‘abhorrent but understandable,’ were leaked by Bob Thomson, a federal CIDA employee in Ottawa. Those leaks cost Thomson his job but helped build a public clamour in favour of offering refuge to those who needed it. At the time, Canada’s lack of a formal refugee policy left these life-and-death decisions to ministerial discretion. Questions were raised in Parliament, church groups and unions called for more asylum, the media picked up the story, and solidarity activists occupied federal offices in four cities across the country: this growing groundswell in the fall of 1973 eventually led to ‘Special Movement Chile’ opening the doors for thousands of Chilean refugees fleeing Pinochet’s terror to find safety in Canada. That historic example of citizen action underscores the importance conscientious dissent. 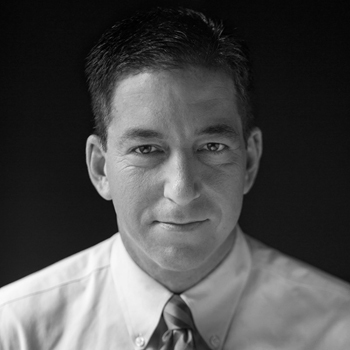 Whether high-profile whistleblowers like Manning and Snowden or rank-and-file war resisters who refuse to participate in war crimes, conscientious dissenters deserve honour and protection, rather than vilification and prosecution. Though their individual circumstances may be less dramatic, the same lesson applies to many conscientious scientists and researchers whose work is threatened or suppressed by the Harper government’s ideological preference for evidence-free policy-making. Many victims of military repression never reach asylum of course, but those who remember the tortured, murdered and ‘disappeared’ can take some comfort in the knowledge that there is no statute of limitations for war crimes and crimes against humanity. 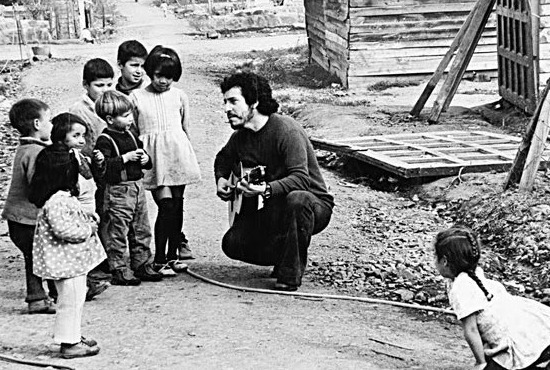 The renowned Chilean folk-singer Victor Jara was among those tortured and killed in the early days of the coup, and this year several military officers deemed responsible for his death are finally coming to trial. Some of the accused trained at the infamous School of the Americas (aka School of Assassins: they put Pinochet’s ceremonial sword on display) at Fort Benning Georgia, where human rights vigils continue to call for closure every year. Whatever the outcome of these belated trials, let’s recall that General Pinochet was fond of lecturing about the health benefits of ‘just forgetting.’ So historical memory really matters: remembering can be an act of resistance in itself. Not only those officially sanctioned memorials, which prescribe just which atrocities ‘We must never forget,’ but also (especially!) independent grassroots initiatives that document and remind us of crimes our governments would prefer us to forget. Such is the case of Zochrot (‘remembering’ in Hebrew), which aims to ‘commemorate, witness, acknowledge, and repair’ the ethnic cleansing of Palestine, in the face of widespread (and increasingly state-enforced) nakba denial in Israel and around the world. But we do keep letting it happen, alas. Canada’s governments have either participated in or tacitly supported coups against elected governments in Haiti and Honduras (just to name two recent examples). And with the Conservatives’ increasing political interference in our asylum adjudication system, it is far from clear whether those 1970s Chilean refugees would even be allowed into Canada today under current rules. Refugees who do make it into Canada now also face a much harder time settling here, with mean-spirited federal cuts to health and other services — another area where we see active resistance from conscientious professionals. Let’s also remember the real motivation for many coups. Henry Kissinger infamously explained why the U.S. set about to destabilize and then overthrow Allende’s democratically elected government: “The issues are much too important for the Chilean voters to be left to decide for themselves.” Democracy doesn’t count for much when voters ‘irresponsibly’ elect a government Washington doesn’t like. A recent Wall Street Journal editorial is even clearer about who they support and why: about a more recent military coup, they wrote on July 4 that Egyptians would be “lucky” if their new ruling generals turn out like Chile’s Pinochet, who “hired free-market reformers and midwifed a transition to democracy.” Apart from the slur on midwifery, Pinochet’s rule was a ‘transition to democracy’ like bacon is a transition to vegetarianism. His regime savagely opposed the return to democracy in Chile, relinquishing power only when forced to by national and international pressure, and after decreeing immunity for himself and his henchmen — all the while continuing to receive support from hypocritical U.S. politicians who now lecture us about the immorality of talking with dictators. But don’t let the WSJ’s chilling historical revisionism mask the cynicism of their underlying message: international finance approves of dictators who bring in ‘free-market reformers.’ The 1973 coup gave free reign to the Chicago-school free market fundamentalists to create havoc in the Chilean social fabric, and similar failed policies are now being pushed down our throats under the guise of ‘austerity.’ Those who revere the ‘invisible hand of the market’ ultimately also rely on its all-too-visible fist. David Heap works with the Latin American-Canadian Solidarity Association (LACASA) and People for Peace in London, Ontario, and is on the international Steering Committee of Gaza’s Ark. A shorter version of this article appeared in UWO’s Western News on September 5. *’The Right to Live in Peace’ is an exhibit of historic materials from Toronto’s Colectivo Alas documenting Chilean resistance against the military dictatorship, running at Beit Zatoun in Toronto until September 11, and then opens at Medium Gallery in London on Friday September 13, where it will stay until September 20. Posted by rogerhollander in Art, Literature and Culture, Chile, Latin America. Roger’s note: Pablo Neruda, Nobel laureate, is considered one of the greatest poets in the Spanish language of all times. In the tradition of many Latin American writers, he also not only held strong political views, but also served in government. In describing the vicious and manifold crimes of the US supported Pinochet era we can add to the murder of social protest, the murder of beauty. SANTIAGO, Chile — Forty years after the death of Chilean poet Pablo Neruda, a judge has issued an order for police to make a portrait of and find the man who prosecutors allege may have poisoned him. Townley was taken into the U.S. witness protection program after acknowledging having killed prominent Pinochet critics in Washington and Buenos Aires. For Contreras, whoever the man was, “the important fact is that this was the person who ordered the injection” that allegedly killed Neruda. Neruda’s former assistant Manuel Araya also said he believed the poet was poisoned by Pinochet’s agents. The Nobel Prize winner’s body was exhumed on April 8, and is being analyzed by Chilean and international forensic specialists. Posted by rogerhollander in Argentina, Bolivia, Brazil, Chile, History, Human Rights, Latin America, Paraguay, Peru, Uruguay. Roger’s note: The world media is focused on Argentina from where the worlds largest patriarchal, misogynist, authoritarian, homophobic institution has chosen its new leader. At the same time in Argentina, a trial is being held which reflects on the world’s most violent imperial nation. The two events are related with respect to the massive and systematic violation of human rights.